Funding a venture is a risky decision. The basic premise is that by putting money in, more will come back in return in the future, with the very real possibility that it will be gone forever. The compensation for taking on this risk is a share of the potential upside if everything goes well. As a company founder, knowing the dynamics of the risk: reward equation means that you can aim to get the best price possible for taking on investment in your company. Whilst you can attempt to inflate the upside of the potential reward, most investors that are worth their salt will zoom in on the risk. Your job therefore becomes to do what you can to minimise the anticipated risk in the venture you are proposing and subsequently reporting. How to make something less risky? In short, through sharing information. In an environment awash with good ideas, all of which realistically have a high uncertainty around whether they will succeed, there a steps you can take to appease potential investors by demonstrating clarity through the noise. In this risky setting, there is a tendency to assume the worst. Investors, by nature, are typically numbers-orientated in their approach to their decisions of where to allocate money. By bringing to the surface key metrics it communicates that you have a grasp on your business, allows the investor to more easily undertake analysis which they’d need to do anyway, and signals that you are thinking about the venture in a growth-orientated manner. What you track varies for each industry and sector, though there are some fundamental concepts which are applicable across all. This asks the question of how profitable each customer is, and whether it exceeds the cost of them becoming a customer. Of course it’ll be nearly impossible to do this on a case-by-case basis, and so it is looked at in the aggregate. Also known as Cost of Acquisition, this looks at all of the marketing costs required in getting a paying customer. This includes all marketing costs, and then direct costs in onboarding a customer. Investors look at this to see whether the “unit economics” of your business make sense. If the amount of money you can expect to get from a customer is roughly the same as the cost of acquiring them, then at best, you won’t be making much money. Simply put, when will you run out of cash. In order to explain the significance beyond the obvious of needing money in order to run a business, we’ll take a brief digression to explain why this is particularly important for growing businesses. Even if you have an excellent LTV:CAC ratio (>3 is considered good), then you might still get into financial difficulties. The issue with CAC is that it usually comes upfront (e.g. paying for Google Ads as soon as a user clicks) whereas the LTV can sometimes takes months or years to reclaim. Let’s assume it costs £50 to acquire a customer online and they will be worth £200 to your business. That’s great, but if they only repay that £200 after 12 months, then you might have a problem. Assuming you have £50,000 in the bank, you might see a 4x LTV:CAC ratio and go and acquire 1,000 customers in the expectation this will turn into £200,000. Which, true, offers a great return. But only on paper. However that means your bank balance goes to zero which, you won’t need an accountant to tell you, is not a condition of running a healthy company. All this is to say that the adage “cash is king” still runs true. Knowing your monthly outgoings, and how much money is left in the bank are of utmost importance if your business is to remain sustainable, and will be critical in communicating with your investors. You might have excellent unit economics around customers spending money on your business, but if you are unable to cover those outgoings then you might soon be needing to return to investors cap in hand saying that you’ve spent their money and that the business might be folding. Which, you can imagine, is not a good conversation to be having. It’s one thing to have the intellectual exercise around what the company should be tracking, and a different one around getting these figures in a way where you can see them, and reliably make decisions off back of them. Whilst it can seem overwhelming, the most important point here is: do something. Especially for an early stage company, it is not expected that you’ll have a slick, elegant set up for all of your metrics. But you should have something. What’s important is making sure that you are able to track the things that matter and so even if that means spending a Sunday afternoon going through your accounts to calculate the LTV of customers, you will still have an answer to the question, rather than just shrug your shoulders when asked. Remember, if an investor can’t see these numbers then they will likely assume the worst. The fact you bring this to light reduces the risk in investing in you as an entrepreneur. The most conventional way to do this is by going to each of the places where you store information on your business (Google Analytics for website stats, your server for user sign ups, Xero for financial reporting), and each month finding the relevant numbers to then write them in an Excel sheet. Whilst a bit time-consuming, it at least allows you to take stock of how the business has been operating. There are several services that offer a more automated approach to this. In essence, rather than you manually going through each of the places to find a particular number, they connect directly to the source and update numbers automagically. An example of one of these services is Geckoboard. Whilst these simple numbers are good to get started, there might soon be an urge to dig into the numbers some more. i.e. What’s the value of a customer after 30 days? Where have the most valuable customers been coming from? Are particular types of customers not converting as well? For this, you will need to have multiple layers of data, and the ability to analyse how they are connected. There are various tips and tricks that you can do bring in information from the different places it’s stored, and then crunch the analysis in Excel. For this you will likely need someone in your team who is at an advanced level of Excel. This typically involves using things like VLOOKUP and other functions. There are a number of online courses which can assist with this. The industry term for undertaking this blend of business analysis and data analytics is business intelligence. The principles are the same, it just requires a more advanced skill set when it comes to analysing numbers and, typically, a more advanced piece of software with which to work in. There are a few leaders in the field of business intelligence software namely Microsoft Power BI, Tableau and QlikView. Again this can vary on the type of company that you run, but in general there will be certain things that you want to look at every day/ week/ month/ quarter. Particularly if you have an e-commerce component to your business, you’ll be wanting to check certain metrics every day, such as visitors, bounce rate, and revenue. With some configuration for the revenue tracking, this can be achieved automatically through Google Analytics which offers an out-of-the-box solution. Other metrics will give you a better perspective once zoomed out. It is likely they will also be more difficult to assemble, and so there is a time consideration in how regularly you want a team member spending a few hours pulling together a report. If, for example, you start tracking the number of new users that you sign up, then that implicitly becomes a goal which team members will work towards. This could lead to behaviour of signing up anyone, and as a result dilute the quality of users who are signed up. Choosing instead to have a key metric of, say, number of users still active after 30 days will tweak the incentives towards keeping up the quality of users whilst expanding the user base. Consistent with other topics we have written about (such as how to get SEIS funding) Inspira UK is a firm advocate of focusing on what you’re good at, and outsourcing the rest. There will be some companies whose core competency is in business intelligence, and so will be able to get their metrics in order in a straightforward manner. 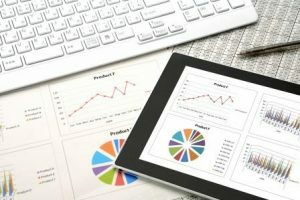 For others, the prospect of diving into spreadsheets and databases to then create charts, graphs and tracking tools in order to understand the health of the company might sound woeful, compared to going out and generating more sales. Through Inspira’s experience in business services (with many organisations outsourcing their bookkeeping to us) we can recommend various organisations who can help you on the business intelligence side of your company. Just drop us a message here, and we’ll be happy to help. As we conclude this post it is useful to distil a few of the pertinent points. What this has hopefully demonstrated is the importance both internally and for external investors, in measuring and tracking the performance of your business. Without it you’re operating in the dark and, especially for investors, lack of visibility is risky. In developing the key metrics for your organisation you can begin to move forward on the important aspects of your business. Tracking these metrics can begin as simply as compiling a spreadsheet, though as you mature, it may become desirable to formalise your systems (perhaps with outside help) so that you can get deeper insights, and have important processes automated. In any case, we hope this has inspired you to begin tracking how your business is performing.